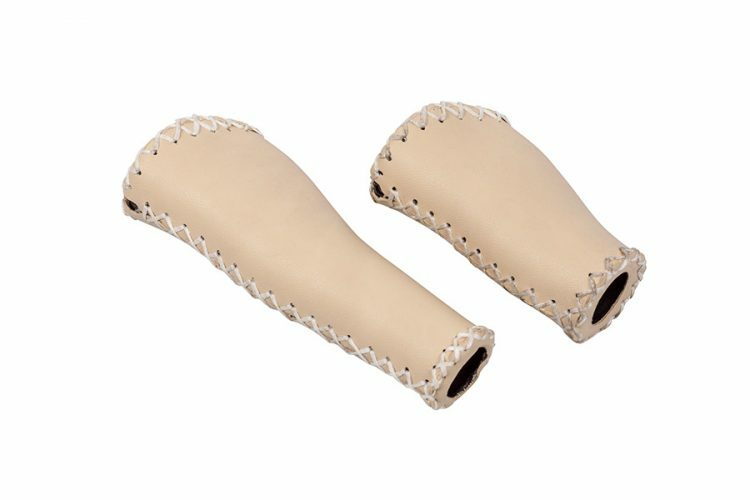 Lekker Cruiser Grips Cream | Shop yours today! Crafted of weatherproof material, the Lekker Ergonomic Grips are designed for optimal comfort and stunning looks. The shape relieves pressure on your wrist and hands, making each ride a comfortable one. All weatherproof and available in two different styles. Please note the set exists out of a long and a short grip, and are suited for bikes with a grip shifter.